Ten years ago London didn’t have any recognised innovation cluster. It was clear this was holding back the development of the city’s entrepreneurial ecosystem. In 2007 I began pressing policymakers to look at the district of Shoreditch which I felt offered London’s most promising focal point to seed a cluster that could spread across North East London. Artists had started moving to Shoreditch in the 1980s, followed by fashion designers, product designers, web businesses and finally software start-ups. There was a huge amount of creative activity and a free-flowing collaborative culture, but very little structure and no government recognition. It seemed to me that creative hubs offered the most powerful strategic tool to consolidate existing activity and accelerate the emergence of a recognisable cluster. In the simplest analysis a hub provides facilities needed by small creative enterprises on flexible, affordable terms. However in the context of an innovation cluster a hub plays a much greater role. It generates vital social capital by building communities, collaborations and friendships. It creates sectoral hotspots which attract the most talented entrepreneurs in a particular field. Hubs provide a stable foundation in the shifting fabric of a cluster. In 2009 I founded The Trampery with a mission to develop a network of creative hubs across east London. My ambition was to underpin the formation of a distinct East London innovation cluster spanning software and the creative industries. The first Trampery site was at Dereham Place in the centre of Shoreditch. This was Shoreditch’s very first workspace dedicated to start-ups. Today there are more than thirty. Subsequent Trampery sites were opened in strategically chosen locations across East London and focused on sectors we believed were particularly significant for the cluster. Between 2009 and 2015 The Trampery developed a total of seven buildings in east London including dedicated incubators for software, fashion, digital arts and travel technology. We partnered with leading organisations including the Barbican, Groupe Publicis and London College of Fashion. Meanwhile in 2010 the UK Government launched the Tech City initiative promoting an east London innovation cluster centred on Shoreditch. The Trampery is now taking its experience from London and working with other cities around the world to help them cultivate new innovation clusters. In 2015 we began a project with the City of Oslo in Norway to help catalyse the city’s rapidly-growing innovation ecosystem around a distinct innovation district in the Tøyen neighbourhood to the east of the centre. Similarly to London, the development of creative hubs will play a central role in this initiative. Back in London The Trampery is once again pioneering a new model for cluster development. In March 2016 we announced “Fish Island Village”, a partnership with social housing provider Peabody Trust to develop the UK’s first integrated complex providing both housing and workspace for creative entrepreneurs. The project, on a six-acre canalside location in Hackney Wick, will provide 580 apartments, 4,500 square metres of studios and workspaces, a theatre, a fabrication workshop, a members club and a bar/restaurant. Fish Island Village will open in late 2018. I believe that integrated live/work developments like Fish Island Village hold the key to a new generation of supercharged hotspots bursting with innovation and creativity. The design and operation of such facilities will need to change significantly to work in different cities and cultures but the opportunity is universal. This is the most exciting period in several centuries to be involved with real estate, urban planning and innovation. Working with cities and partners I believe we can achieve amazing things in the coming years. 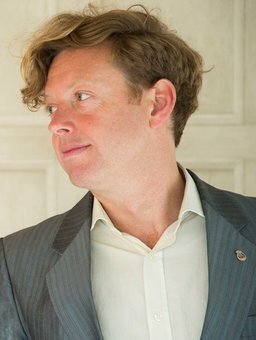 Charles Armstrong is a sociologist and entrepreneur who founded The Trampery, providing workspaces and housing for the creative industries.